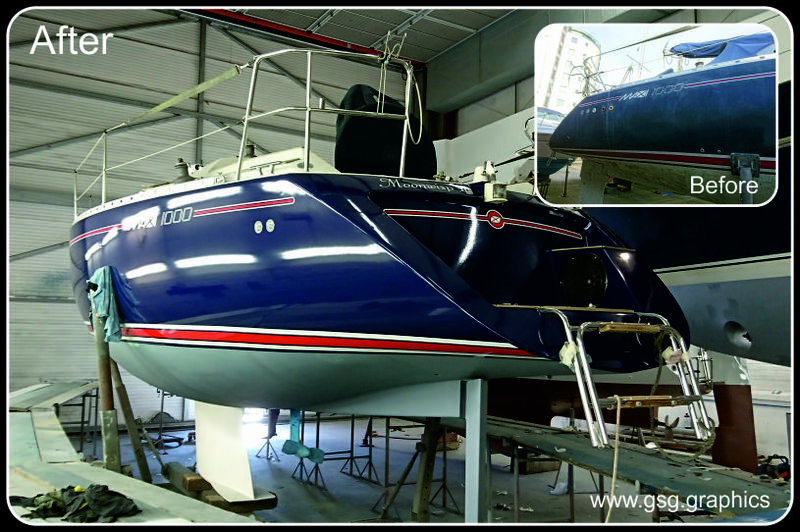 Marine vinyl wraps are now becoming common place in marinas, generally being applied as a cost effective way to restore the look of a tried gel coat or as a way to help protect a new boat. Having the advantage over paint and gel coat in that it is more fade resistant and can easily be removed revealing the original as new surface. A perfect option if you are looking for a style specific to you. 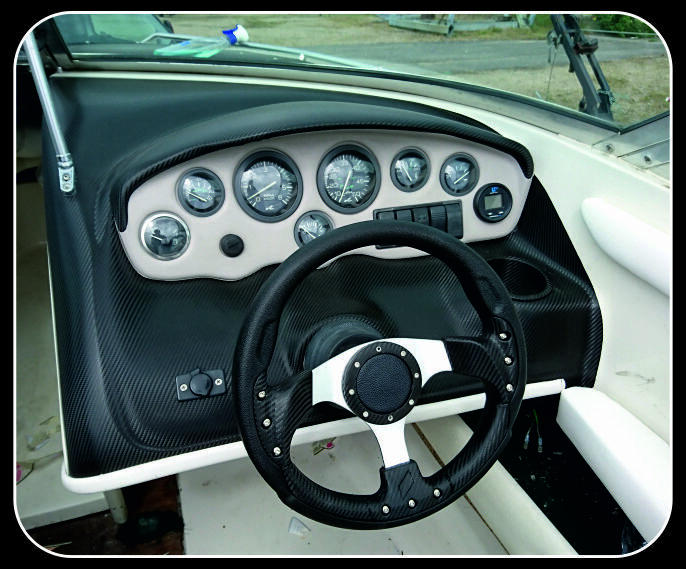 The wrap can easily be removed when the boat is sold revealing the original boring finish and maintaining sales value. Install times are less than painting with less prep required meaning your back in the water quicker. Boat hulls can get a hard life from the elements. Installing on a brand new hull give extra protection, increasing resale value. Remove the wrap and the as new gel coat is revealed. Being more resistant to the elements maintenance should be less, a wash down and off you go. We offer a range of vinyl sealants and cleaners to help care for your wrap. 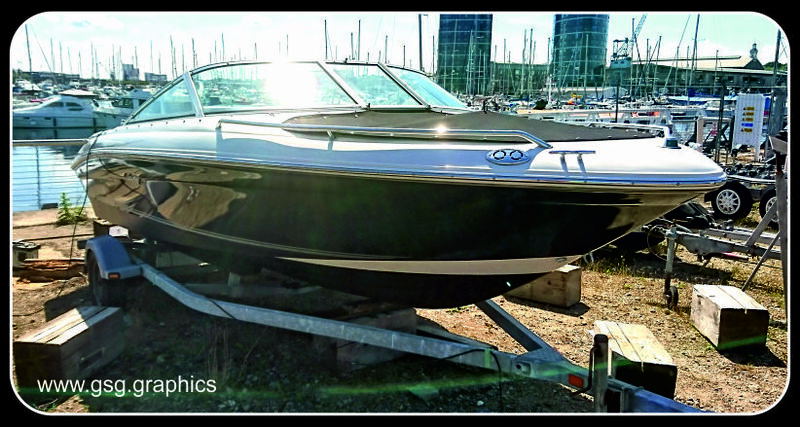 Searay metallic grey boat wrap... from white to metallic grey.